EDITOR’S NOTE: American philanthropy has long been indispensable to the nation’s cultural wealth, scientific strength, and social and medical well-being. 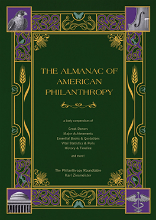 The Almanac of American Philanthropy, forthcoming in 2015 from The Philanthropy Roundtable, will offer short and engaging histories of many of the most important gifts and givers. In the following pages, we present a small taste of the Almanac’s bounty, excerpting a handful of its entries related to the fields of science, technology, and medicine. These stories illustrate the generosity of donors who have supported both basic science and the application of existing ideas to useful ends. 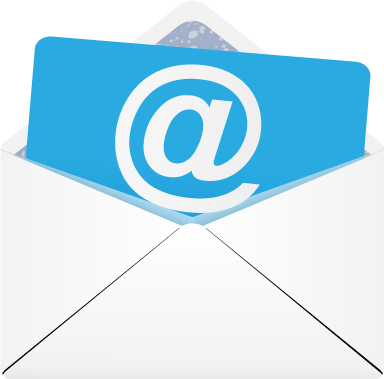 Karl Zinsmeister of the Roundtable is the Almanac’s editor and lead author; the entries reproduced below include research contributions from Brian Brown and Scott Walter. At a time when Philadelphia was the fastest growing city in America (and the second-largest English-speaking city in the British Empire), two city benefactors came together to create a hospital (an institution then coming into vogue in Europe). 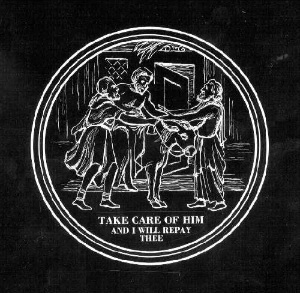 The institution was intended “to care for the sick poor of the Province and for the reception and care of lunaticks” who were then wandering the streets of the city of Brotherly Love. The hospital was designed to restore the sick to active lives, rather than simply to remove them from the community, like many other institutions. Bond became a volunteer physician and manager at the new Pennsylvania Hospital, offering his professional services from the time of its creation until his death thirty-three years later. Bond also collaborated with Franklin in creating the educational institution that became the University of Pennsylvania, and beginning in 1766 he shared his medical knowledge by conducting clinical lectures to students at the hospital. Dr. Bond thus became known as America’s “father of clinical medicine,” and the Pennsylvania Hospital a pioneer institution for teaching the healing arts. Among its firsts: the first surgical amphitheater, the first hospital auxiliary, the first apothecary. James Smithson (1765–1829) was a British scientist with no obvious connection to the United States. He had no family in the New World, had never visited, and had built his successful professional life entirely in Britain as a chemist, geologist, and mineralogist. It came as a surprise, therefore, when in 1836 President Andrew Jackson informed Congress that Smithson had bequeathed half a million dollars to the government of the United States. Smithson had inherited the money from his aristocrat mother, and in the absence of an heir he left instructions to build, “at Washington, under the name of the Smithsonian Institution, an establishment for the increase and diffusion of knowledge.” Smithson was active in the Royal Society of London and had close friends who were interested in the education of the lower classes. But why he planted his learned benevolence in America, we don’t know. Whatever the reason, Congress accepted the bequest, and after nearly a decade of wrangling, established the institution in 1846. The Smithsonian would operate independently, governed by a board of regents and a secretary, as a relatively unique hybrid of museum and research institution. Its initial facility would house an art gallery, a lecture hall, a library, two laboratories, and a science museum. Renowned architect James Renwick was commissioned to design the building, which still stands on the National Mall today. 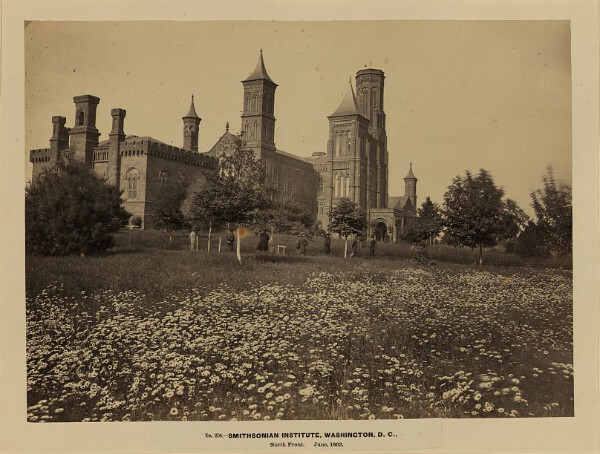 The Smithsonian Institution Building (often known as “The Castle”) in 1862. Over time, further philanthropy allowed for the creation of additional buildings, museums, libraries, laboratories, art and science collections, and programs for popular education and elite investigation. The Smithsonian is now the world’s largest complex of the type, comprised of nineteen art, science, and history museums, the National Zoo, and nine research facilities. Yet even today, more than two hundred works from Smithson’s personal library still sit in the heart of the institution. 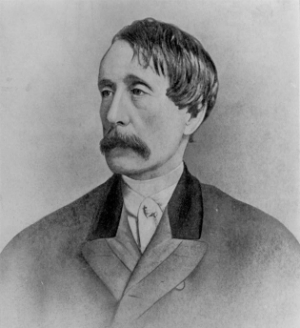 Henry Bergh (1813–1888) operated the shipbuilding business founded in New York City by his father, and retired early with a substantial fortune. An abolitionist, his friendship with William Seward won him an appointment as part of the American delegation to Russia during the Civil War. While in St. Petersburg, Bergh came upon a Russian mercilessly beating his fallen cart horse; he sought to intervene. Later, on his way back to the United States, Bergh stopped in London to meet with the president of the Royal Society for the Prevention of Cruelty to Animals. Shortly after his return to New York he began to solicit friends with a plan to found a U.S. counterpart. He won a public charter in 1866, put a good deal of his own money into launching the organization, and became the first president of the first animal welfare organization in the country: the American Society for the Prevention of Cruelty to Animals. Bergh engaged public opinion, and frequently put himself in harm’s way to stop acts of cruelty. His debates with P. T. Barnum on humane conditions for show animals led to a friendship; Barnum helped form an SPCA branch in Bridgeport, Connecticut, and was eventually a pallbearer at Bergh’s funeral. The success of the New York City group spurred the formation of local SPCA chapters in Buffalo, Philadelphia, Boston, and then many other cities. In 1874, Bergh’s involvement in an effort to rescue an abused foster child resulted in the creation of a parallel Society for the Prevention of Cruelty to Children. A broad “humane” movement, nudged further by horror at the violence of the Civil War, spread across the United States, with Henry Bergh’s loyal financial support and steady enlistment of friends helping it along the way. 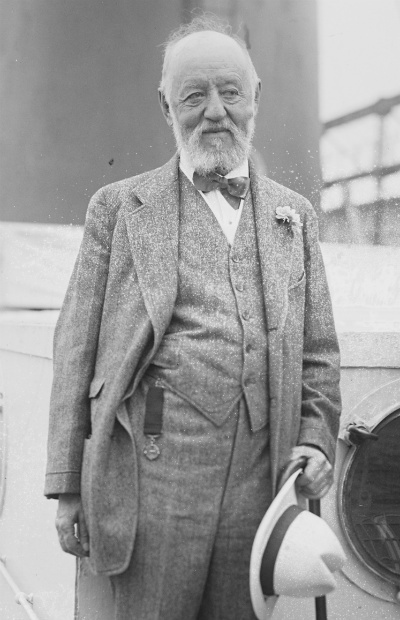 Nathan Straus (1848–1931) is little remembered today, though he was one of the most effective philanthropists in American history. As a small child, he immigrated from Bavaria with his family and followed a typical path for many Jews of the era into retailing, in New York City. Nathan entered the family’s china and glassware business at eighteen, and in 1874 the family began operating the china and glassware departments of the Macy’s department store. The Straus family’s departments were so profitable that they eventually became partners with R. H. Macy’s heirs in both the Macy’s and Abraham & Straus stores, before taking over both concerns entirely. Straus brought numerous innovations to retailing that fueled expansion of Macy’s. In 1902 the store became New York’s largest, and Nathan Straus one of the city’s wealthiest men. Straus donated pasteurization equipment to the city’s orphan asylum, an institution so gruesome that its children suffered a death rate four times worse than that of children in general. Forty-four percent of the children there died in 1897. The following year, with Straus’s milk the only change, the rate dropped to 20 percent. Straus’s philanthropic efforts saw him provide support for 297 milk stations in 36 cities, which dispensed more than 24 million glasses and bottles of milk over a quarter-century. Gordon reports that the U.S. infant mortality rate dropped from 125.1 per thousand in 1891 to 15.8 in 1925. Straus directly saved an estimated 445,800 children’s lives, and his crusade for mandatory pasteurization indirectly saved millions more lives. Though diabetes is one of the most common modern diseases, there was for generations no hope of recovering from it. One merely adopted a radically constricted diet, or else bodily decay and death advanced fairly quickly. Hunting for something better, a New York physician named Nathaniel Potter applied to the new Carnegie Corporation of New York in 1916 for a grant to study diabetes patients as they underwent different clinical treatments. He received $7,500 annually from Carnegie, on the condition that he raise $20,000 more from others. Potter got Cottage Hospital in Santa Barbara, California to build a laboratory for his research alongside their medical facility. When Potter died in 1919, William Sansum from the University of Chicago arrived to head the clinic in his stead. At the same time, the Carnegie Corporation was also funding research in Canada to extract insulin from the pancreas of dogs. Scientists sought to convert the canine research into a possible injectable treatment for human beings. By 1922, insulin administered at Toronto General Hospital brought a diabetic child back to health — the first use of insulin to treat human beings. The Canadian work led to a Nobel Prize for the lead researchers. Because they were fellow Carnegie grant recipients, Sansum was corresponding with his Canadian counterparts throughout their experimenting. The Torontonians offered detailed guidance in the hope Sansum would be able to improve the difficult process of extracting insulin. Soon, Sansum successfully extracted insulin at the Potter clinic, and made rapid progress at increasing its purity and strength. Four months after the Canadians, he became the first doctor to administer insulin to a patient in the United States. Next, the Carnegie Foundation contributed additional funds to manufacture insulin injections on a large scale. Kits began to appear in drug stores by 1923. In the words of Casebook for The Foundation: A Great American Secret, “hundreds of thousands of patients near death from diabetes ... subsequently recovered.” In the years since, millions have had their lives saved or lengthened via insulin treatments. Robert Goddard (1882–1945) was one of the world’s first great geniuses in rocketry, which existed almost entirely in science fiction when he penned his first articles about it in high school. After he earned a doctorate in physics at Clark University in 1911, his rocketry research expenses overwhelmed his salary, and he began fundraising. Goddard received scant financial backing and little interest from government or his fellow scientists, and the media (including, most infamously, the New York Times) attacked his ideas so mercilessly he came to shun publicity. In 1929, though, he was befriended by famed aviator Charles Lindbergh, who, in 1930, persuaded philanthropist Daniel Guggenheim to provide Goddard with a $100,000 grant. For the next eleven years, the Guggenheim family was Goddard’s primary supporter, providing the salary, research funds, and materials with which he created his many breakthroughs in rocket and jet propulsion. Freed by these donations from the demands of fundraising and teaching, Goddard made bold progress on a range of problems and set the stage for the jet and rocket revolutions — and space exploration, including the multistage boosters that allowed the United States to be the first nation to land men on the moon. Subsequent Guggenheim-funded labs eventually yielded the Mars lander, and probes that traveled to Jupiter, Saturn, and beyond. “Today,” notes historian Claire Gaudiani, “all rockets and planes depend on some of Goddard’s three hundred separate aeronautical inventions.” Indeed, the federal government (which had largely ignored Goddard’s work) agreed after his death to pay his widow and his philanthropic patrons at the Guggenheim Foundation $1 million for infringing on the master engineer’s 214 patents during World War II. In 1944, three scientists working at the Rockefeller Institute for Medical Research — Oswald Avery, Colin MacLeod, and Maclyn McCarty — proved that DNA is the chemical basis of heredity. This discovery ranked with the findings of Charles Darwin and Gregor Mendel in its scientific impact. It launched a new era in genetics. Additional Rockefeller-funded work expanded on and deepened this discovery. Progress in X-ray imaging, for instance, and in understanding the nucleotides in DNA, was propelled by Rockefeller grants. New tools and understandings like these laid the groundwork for the 1953 discovery by James Watson and Francis Crick of the double helical structure of DNA (which earned them the 1962 Nobel Prize in Physiology or Medicine). Indeed, the very Cambridge lab where Watson and Crick conducted their experiments owed its advanced state to the Rockefeller Foundation, according to researchers who worked there. Rockefeller grants funded many of the lab’s assistants. They also made possible the purchase of X-ray diffraction equipment that was central to the mapping of DNA. 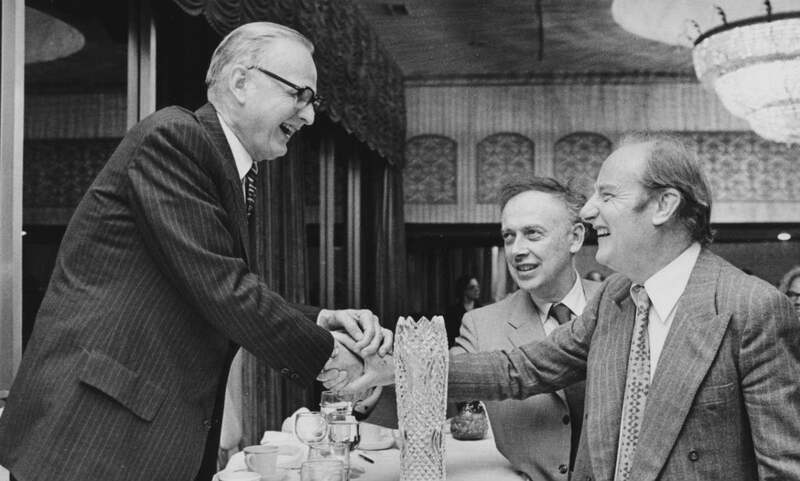 Maclyn McCarty with Francis Crick and James D. Watson. Source: J. Lederberg and E.C. Gotschlich, “A Path to Discovery: The Career of Maclyn McCarty,” PLoS Biol 3, no. 10 (2005): e341. Understanding the structure of DNA was the keystone to understanding how the genetic information inside cells works — how genes are replicated, how they mutate, and how they control cellular functions. This kicked off the subsequent revolution in molecular biology that is still transforming medicine today. Polio was one of the most feared viruses of the modern era, reaching epidemic proportions in the early twentieth century. At that time it killed more Americans every year than any other communicable disease. Thousands of others were left living in iron lungs or hobbling about in leg braces. For years, the Rockefeller Institute for Medical Research had funded basic investigations into the viral underpinnings of the malady, including hosting the work of researcher Albert Sabin from 1935 onward. Millions of people all over the country donated money to the March of Dimes — formally known as the National Foundation for Infantile Paralysis — to wage battle against the disease. That foundation’s annual budget soared from $3 million in 1940 to more than $50 million in 1953, when the foundation provided twenty-five times more funding for polio than the National Institutes of Health. Donated money went to science fellowships in virology, to direct research, to public information efforts, and to support for stricken families. Among many other things, the March of Dimes funded the lab where the polio virus was first grown in non-neural tissue. Eventually, this combination of rich-man’s endowment with mass philanthropy — along with the timely action of a small private foundation — put a dagger in polio’s heart. In 1948, Dr. Jonas Salk won a $35,000 grant from the Sarah Scaife Foundation which allowed him to equip a modern virus laboratory at the University of Pittsburgh to investigate the disease. He also received support from the March of Dimes and their millions of small donors, as did the parallel vaccine work of Albert Sabin. Two years later Scaife added to its initial risk capital with a follow-up grant to Salk. In 1952, a particularly nasty polio epidemic broke out — more than 57,000 cases were registered in the United States, and over 3,000 people died. That same year, Dr. Salk announced a medical breakthrough. He had bravely immunized himself and his family with an experimental vaccine that worked. The Salk vaccine, the world’s first polio blocker, was soon deemed safe, thanks to field trials paid for by the March of Dimes, and went into production for use around the world in 1955. March funds were also responsible for distribution of free vaccines to many thousands of children. Today, polio has nearly been eradicated across the globe. It remains endemic only in Nigeria, Pakistan, and Afghanistan. And other philanthropies have taken up the cudgel to drive the disease to a final extinction. In 1985, when there were still close to 400,000 international cases of polio every year, the Rotary International Foundation pledged $120 million to battle the affliction overseas, ultimately donating a billion dollars to the fight. In 2011, the Gates Foundation made complete eradication of polio one of its top priorities. India — which just a few years prior to benefiting from a Gates-led mobilization was described as the “most tenacious reservoir” of the paralyzing virus, with half the world’s cases — recently celebrated its first year without a single case. The worldwide total was down to fewer than 250 cases in 2012, with the noose tightening. Texan George Mitchell (1919–2013) spent his work days peering downward, deep into the earth, where he was one of the most successful men of his generation at finding valuable oil and gas, especially by the method of hydraulic fracturing that he largely invented. As a philanthropist, though, he often gazed at the heavens, where he loved to support astronomy and other basic sciences. Mitchell had considered becoming a physicist before majoring in petroleum engineering, and by the time he passed away he had donated an estimated $360 million to major scientific efforts — like construction of the Giant Magellan Telescope in Chile, and his 2002 creation of a “fundamental physics and astronomy” program at Texas A&M University. The $100 million he gave to A&M also endowed thirteen academic chairs — several in physics, others in astronomy, three in marine sciences. He built the campus physics building and other structures, and endowed fellowships, lectures, and meetings related to astronomy and physics. Mitchell’s giving during the last decade of his life has been described as one of the greatest philanthropic campaigns ever in support of basic science. In 1998, an anonymous billionaire purchased a horribly preserved medieval prayer book at a Christie’s auction for $2 million. The reason for the gaudy price? The battered volume also contained the most important scientific manuscript ever sold at auction. 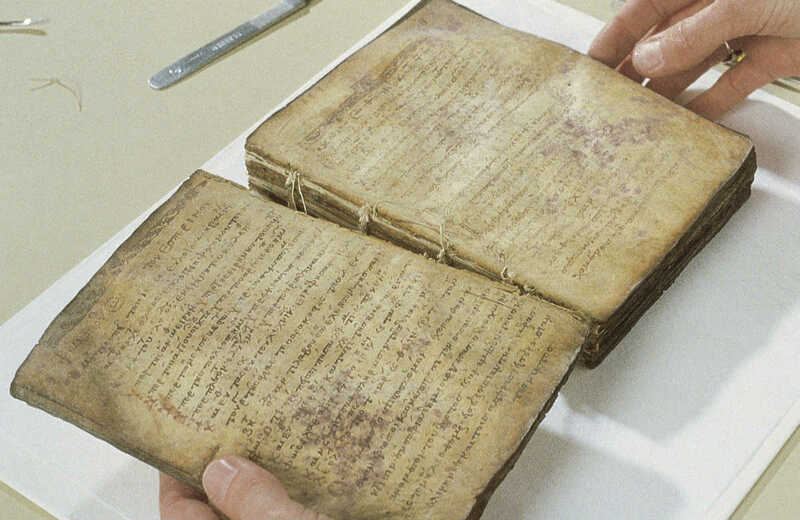 The book was a palimpsest — a text written on top of an older text (because parchment was once so precious that books no longer prized often had their pages washed or scraped clean, and then recycled into new books). Underneath the thirteenth-century prayers were the erased contents of seven ancient works, nearly all of them previously lost to civilization, including two hitherto unknown essays by the third-century B.C. Greek mathematical genius Archimedes. Portions of the previous text were visible as ghostly shadows, and had been translated in the early 1900s. But after the anonymous donor purchased the palimpsest he deposited it at the Walters Art Museum in Baltimore, and donated additional funds, supplemented by gifts from the Selz and Stockman Family foundations, so that the manuscript could be studied, conserved, and then presented to the public. Curators proceeded to disassemble, clean, and analyze the work. Over a twelve-year period, more than eighty experts contributed to this philanthropically funded effort, culminating in an X-ray scan at Stanford that detected residual iron atoms from the iron-based ink of the original texts. That allowed scholars to read large sections of previously hidden text. A digitally enhanced image of the palimpsest, showing multiple layers of text. In addition to previously unknown works of history, philosophy, and politics, there were the two important treatises by Archimedes: “The Method of Mechanical Theorems,” which explores the concept of infinity and anticipates many of the techniques of calculus, and “Stomachion,” the earliest Western theorizing in mathematical combinations of a sort that are now central to modern computing. The Stanford scan also discovered the name of the scribe who erased the Archimedes text and other ancient writings and transcribed the prayers on top: Johannes Myronas, who finished his work on April 14, 1229, in Jerusalem. The prayer book was apparently then used for centuries in the Monastery of St. Sabbas in the Judean desert. All of this is fascinatingly documented in a layman’s book, open Internet postings, and a multi-book set from Cambridge University Press that presents actual images of the processed pages with transcriptions — thanks to the anonymous donor who started the whole investigation, and his insistence that all findings and images be shared directly with interested scholars and members of the public. Karl Zinsmeister, et al., "Philanthropy in Science, Technology, and Medicine," The New Atlantis, Number 44, Winter 2015, pp. 37–45.